Whether you’re looking for a kosher cooking class, volunteer opportunities, or even a place to have a Shabbat meal, Reshet Ramah is here for you! Click here to see what events are taking place in your community! Join fellow young alumni for a Ramah-style Kabbalat Shabbat! The Ramah Minyan meets monthly, September – June, at 7:00 PM at the Park Avenue Synagogue, 50 E 87th St, New York, NY 10128. 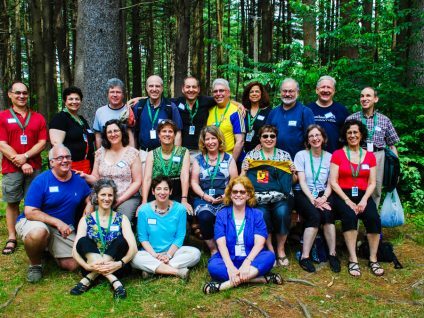 Interested in joining the Ramah Minyan Committee or helping out? Please email the committee members. Follow the Ramah Minyan on Facebook! Imagine smelling the pine trees in the Horshah (Grove) or checking out the tzrif (bunk) where you met your best camp friend. 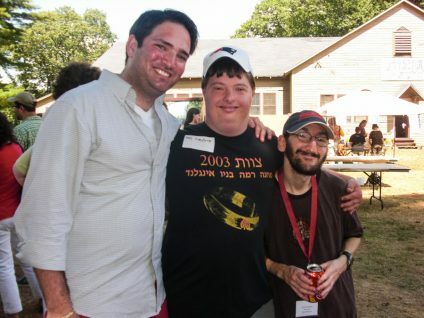 We would love to partner with you to organize an edah reunion in Palmer on a Sunday, while camp is in session! Contact Mindy Goldstein or call (781) 702-5290 x109 to get the ball rolling.